ZIMBABWE – The song, which came as a surprise package on the Jerusarema DVD, is now a hit within showbiz circles becoming a song of the moment. “I have adopted a unique style that I incorporate a new song whenever I release a DVD and this is what I simply did. “Whenever you go in studio, you aim higher but the response to the song is something else. 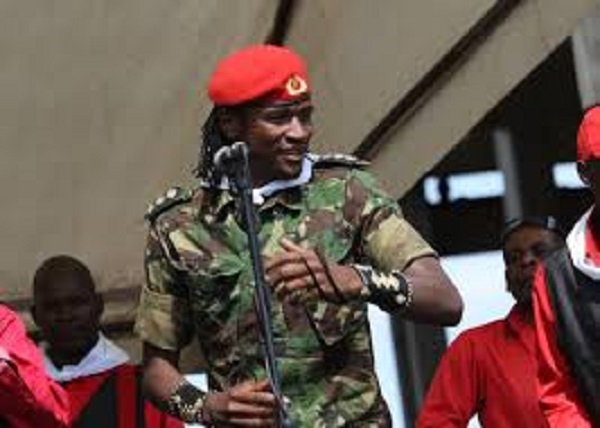 I can’t even believe it,” said Jah Prayzah. Jah Prayzah, arguably the biggest crowd pullers in the country so far, said he is having a difficult time with his fans during shows who wants the song (Hello) to be played several times. “You have to do what your fans want and these days they request us to play the song over and over again. “It is that difficult situation when you can end up performing one song. I also pass through public places and the song is being played,” he said. Music critics, however, argue that JP, as the singer is also being referred to, is using these new singles to maintain his dominance. He took the same stance on the DVD for his album Kumbumura Mhute when he also incorporated a new song Moyo Wakaoma which turned up to be a hit on the project. This time around, though the current CD is still doing well, the song Hello has somehow fuelled him in this competitive game, showbiz. The musician also spoke his joint show alongside Suluman Chimbetu at Private Lounge on February 25 which he urged fans to come in their numbers. Apart from this refreshing singles, JP said he will be performing a number of new songs off his forthcoming album. “I will be sharing stage with Sulu on February 25 at Private Lounge where we are going to perform a number of new songs. “I always feel humbled to share stage with Sulu. That idea of mentioning him on one of my videos tells a lot,” said JP. Dubbed Friends Forever Concert, the show is expected to bring activity in the capital as organisers say more artistes are eager to be part of the event.